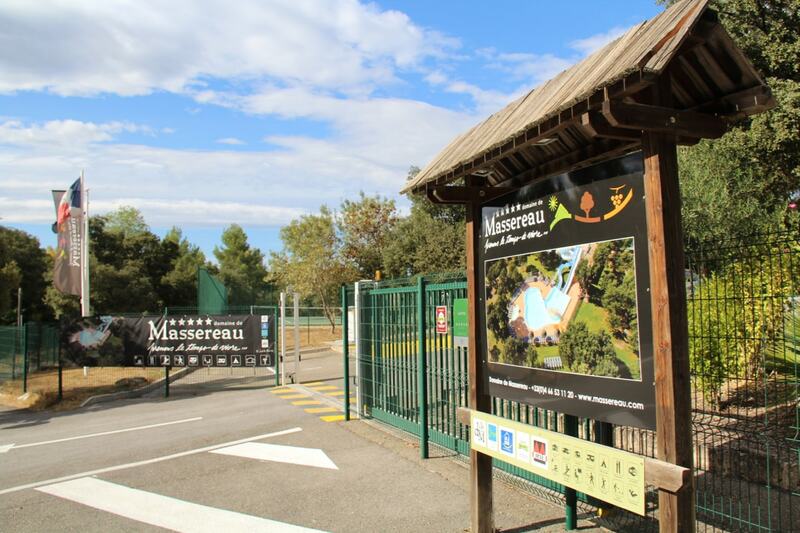 Why not consider taking your family on a camping / motorhoming holiday to one of Europe’s best 5* campsites at Domaine de Massereau in the South of France. It’s such a special family friendly French campsite. A gem not to be missed…. With the last of the summer sunshine hitting Europe, thoughts might just be turning to summer holidays next year. 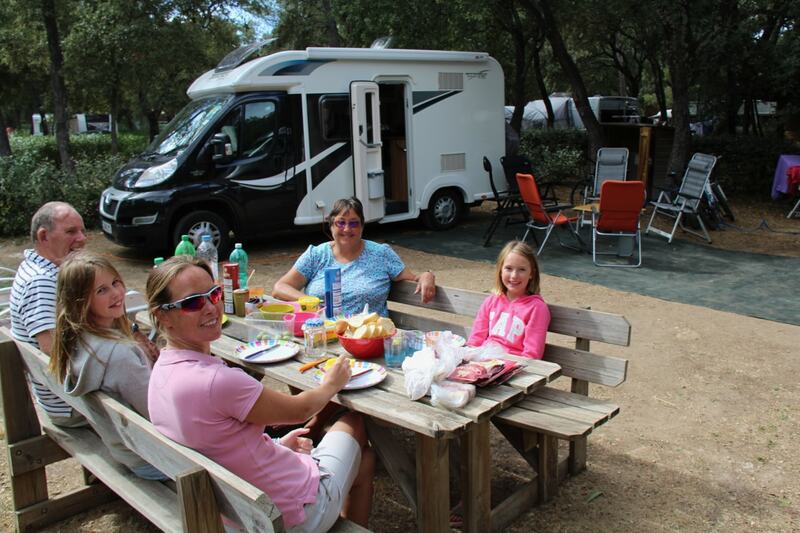 So if you’re looking for a luxury yet good value ‘family motorhome site’ in Europe? 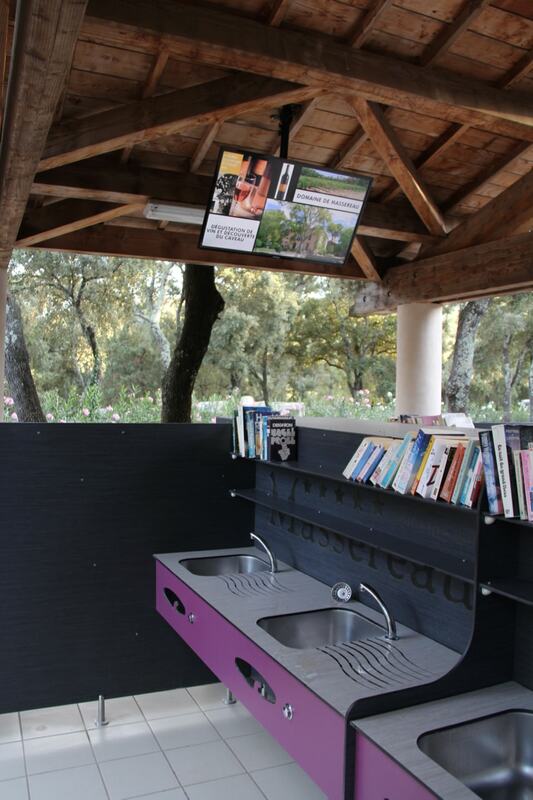 A place to unplug from daily life whilst keeping the kids fully entertained? The perfect campsite location for a relaxing family holiday. 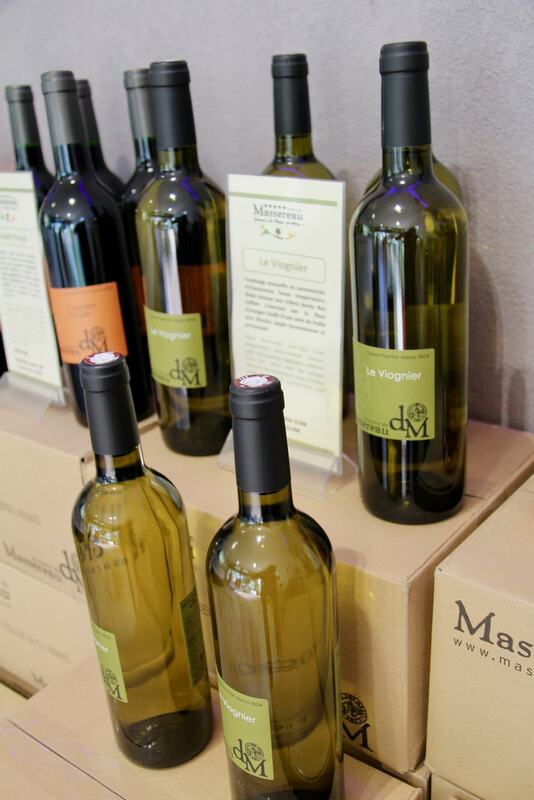 Nestled into the vineyard lined valley near Sommiéres is this charming and utterly authentic luxury French campsite experience… Located around a stunning open air restauarant and pool complex, Domaine de Massereau positively radiates a sense of peace, tranquility & luxury for all those that enjoy a relaxed spacious camping experience… but if you’re travelling with children there’s really something for them to enjoy too…. 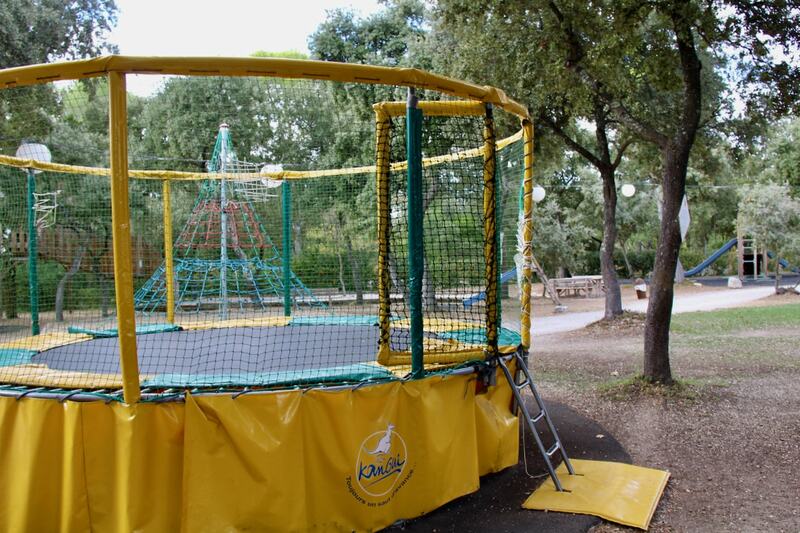 There’s something here to keep any child entertained for hours. This campsite is so carefully designed and impressively well manicured that it will come as no surprise to know that the family owners clearly have an eye for detail…. From the ‘bubble of open space’ that separates the reception from the main campsite… to the ‘misting’ facility that keeps campers cool near the swimming pool… it just radiates an approach that is clearly centred on the camper not just the profit margin… and certainly not at the expense of quality! However the key aim for the entire campsite is the feeling of space, the ability to find space to unwind but still the space to allow your children to safely explore the campsite’s excellent playground facilities whilst you sip a coffee in the adjoining ‘al fresco’ cafe/restaurant. 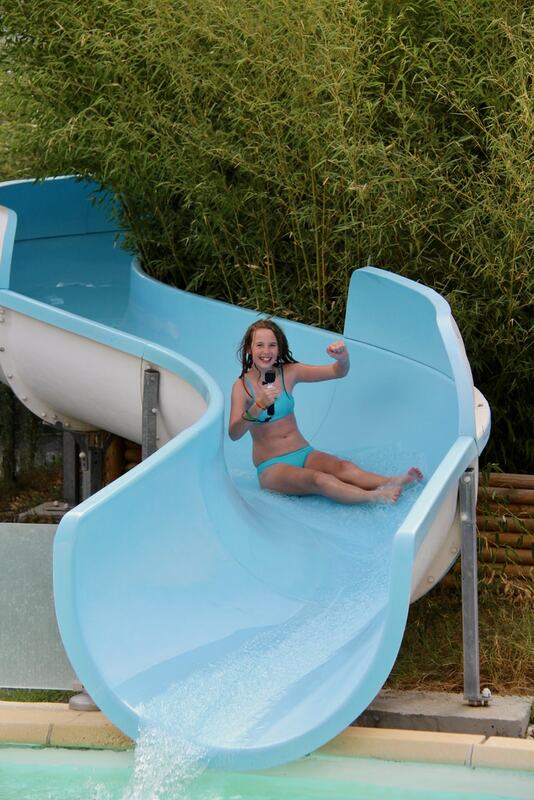 Or to allow them to enjoy the ‘heated’ pool or water slides whilst you either watch on or participate too. Just click here to check out exactly how you can keep them entertained for hours….. but for our girls, the endless hours in the pool complex, followed by some gymnastics on the trampolines have seen them head for bed early…. Just perfect to allow us the opportunity to relax in the evenings in the luxurious pitch (Number 509) close to the centre of the campsite. Talking of pitches, and we’ve stayed in a few during our 700+ day European Roadtrip Adventure…. There really is no ‘one size fits all approach’! We’ve certainly enjoyed plenty of variety from the resort style Camping Krk pitches in Croatia to the ultra neat Playa Montroig in Spain. 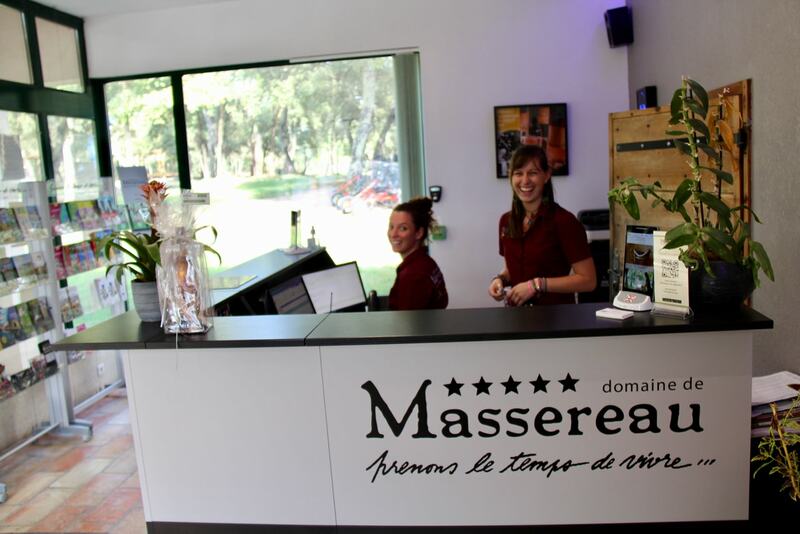 But none have been as large as the ‘Premium Place‘ at Domaine de Massereau. Just look above at the ease with which it swallows both of our motorhomes…. 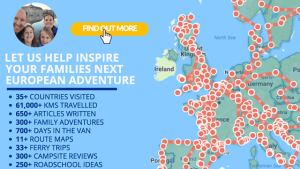 The perfect pitch to allow grandparents and grandchildren to share a family holiday… just like us! 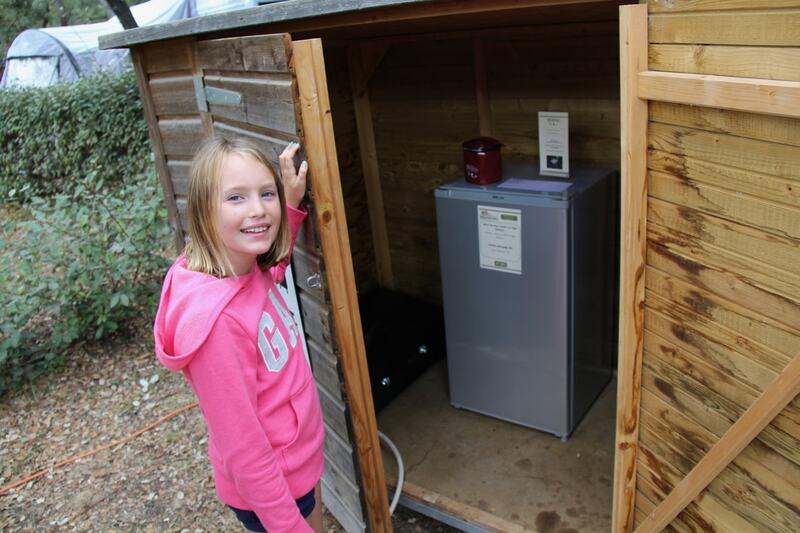 Small touches for the customers benefit seems to mean a great deal to this campsite, so it was a pleasure to open this ‘Pandoras Box’ and discover a whole host of useful additions… a drying rack, a gas BBQ, a fridge, a parasol to go with the sun loungers…. It’s even had us eyeing up the nearby log chalet to work out if we could holiday here with friends too as they could easily stay there whilst we camped out here! That said, it’s almost certainly a place for families and couple alike. 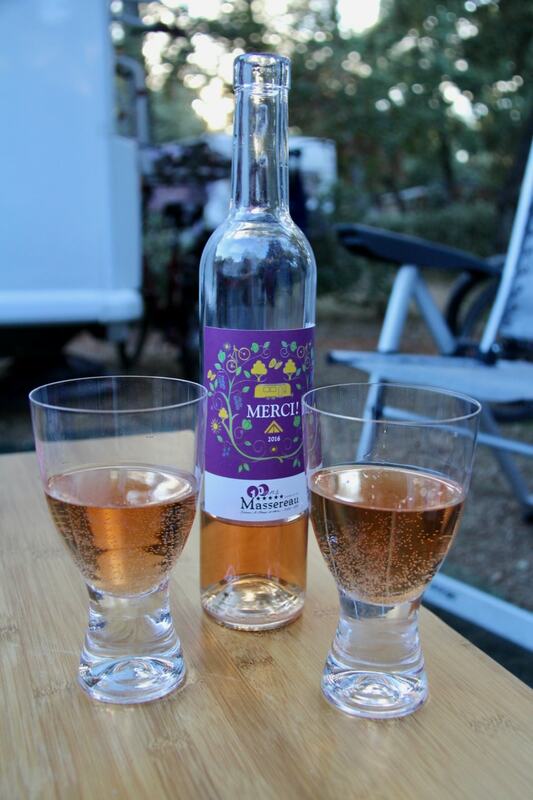 But if you’ve never visited it before, then just be prepared for Domaine de Massereau to steal a little piece of your heart within hours… It’s a truly special ‘open air campsite’ that more than matches the beauty of its surroundings…. Yet it’s also the perfect place to explore with young children. 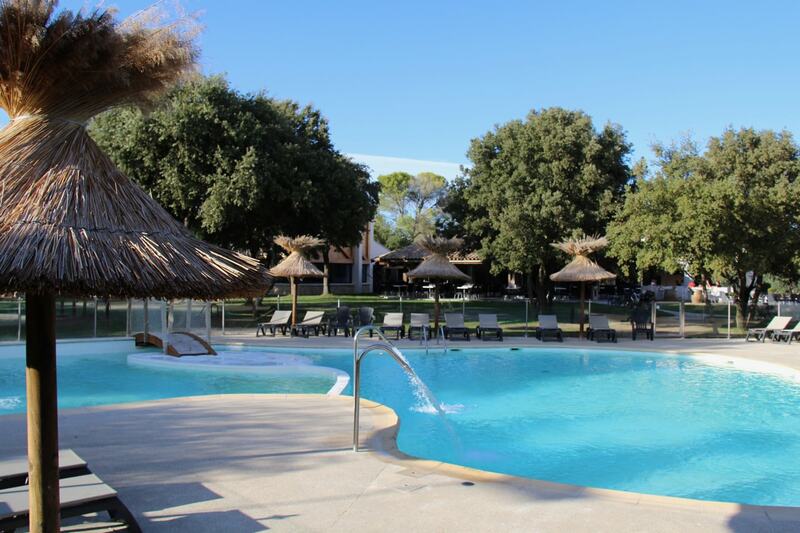 Well planned activities and play facilities are everywhere offering you the chance to safely create special memories before grabbing a seat at the restaurant to the enjoy the setting sun as you consider the impressive ‘a la carte’ menu. 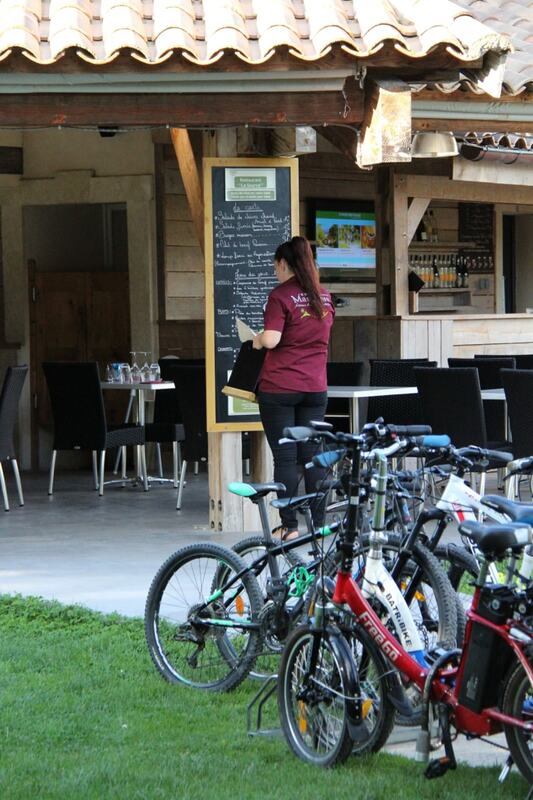 Situated in the centre of the campsite, the restaurant’s attractive position is only enhanced by the abundant space that surrounds it.… imagine colourful flowers, hearty patio warmers and healthy green spaces that surround this ‘al fresco’ dining area. 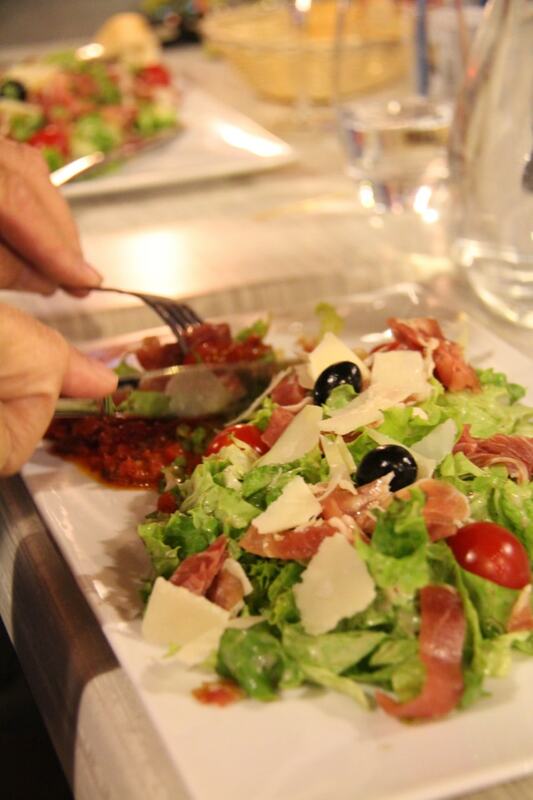 With a 3 course ‘menu de jour’ costing around £17 per person, it’s not cheap but neither is it particularly expensive.… especially given the quality of the locally sourced food… and with a ‘menu des enfants’ at just under £7, it also means it offers something for the kids. 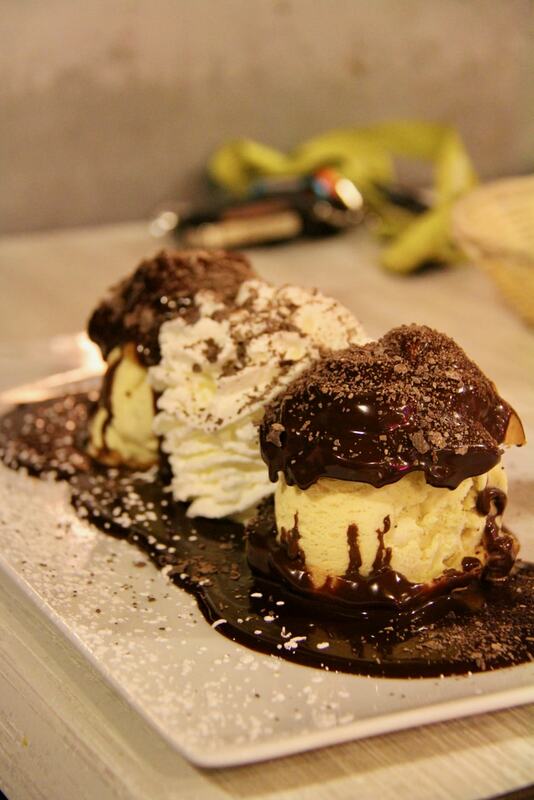 For the record, our food ranged from carpaccio of beef to seared tuna steaks followed by home made profiteroles…. 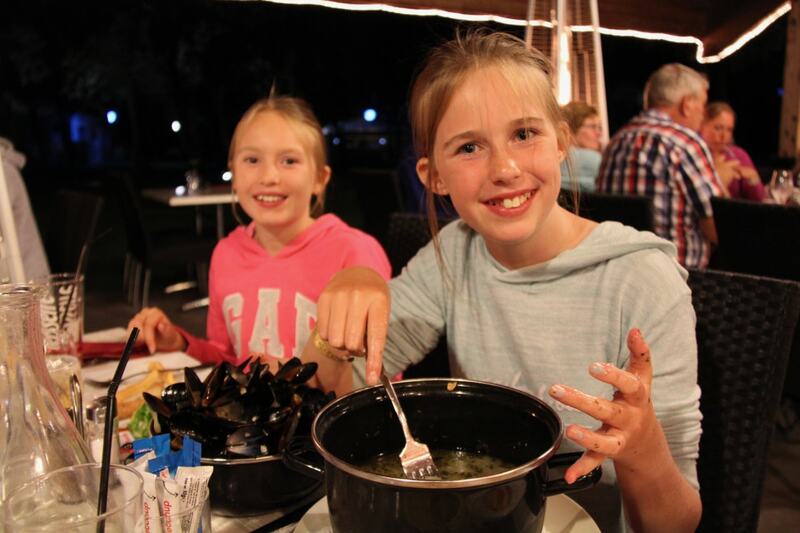 all washed down with the campsite’s own ‘Viognier’….But perhaps the easiest way to describe the experience would be to show you the grins above which followed the girl’s efforts at finishing their favourite ‘moules/frites‘…. simply priceless!! 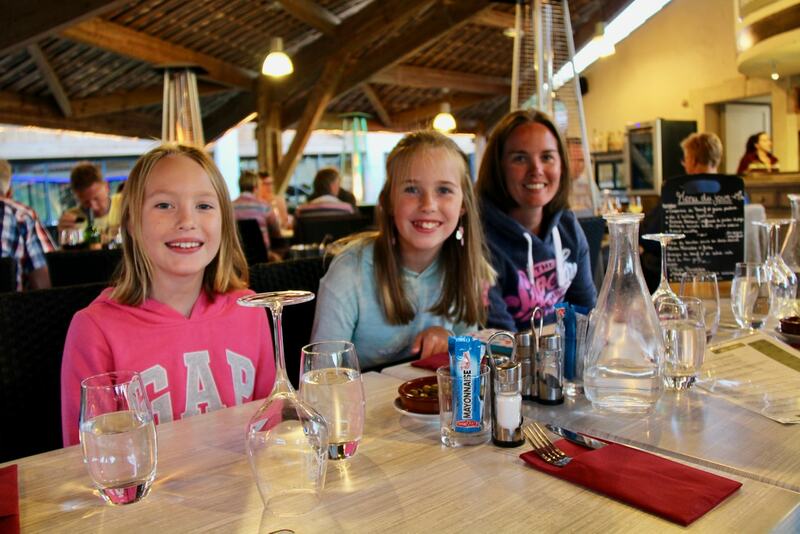 Perhaps it’s the southern location in France where summer days are longer, the weather warmer and the sun brighter – but it really is the perfect place to step outdoors and embrace dining alfresco…… and will be remembered as one of our favourite ‘family meals’ from the whole trip. NextCamping Šimuni… the perfect family getaway in Croatia!